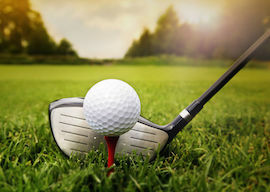 Do you and the lads like nothing more than a day on the greens? 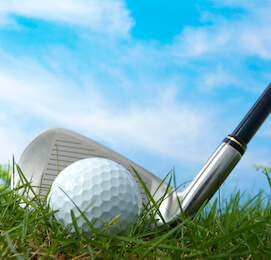 Lucky for you, Auckland has some of the finest courses to be found anywhere, a veritable playground of varied and tremendous courses to challenge even the best golfers. The Balls and Babes package offers you the chance to combine your love for the game with a night of solid debauchery, punctuated by excellent dining, and the odd beverage. Not a bad way to go out! 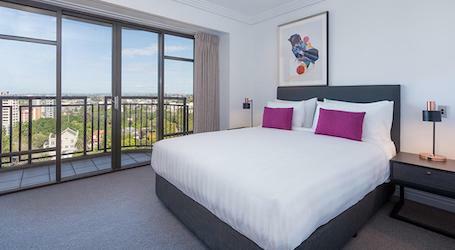 You’re doing it in style this weekend, as you should, and that extends to your accommodation. 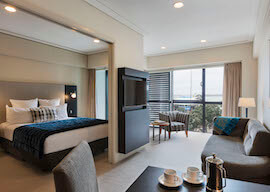 This four-star hotel lies in the midst of the Auckland action, giving you access to the scenic shore, and all that the downtown core has to offer. Indoors, you’ll have access to free Wi-Fi, an indoor pool, and some seriously comfortable beds. 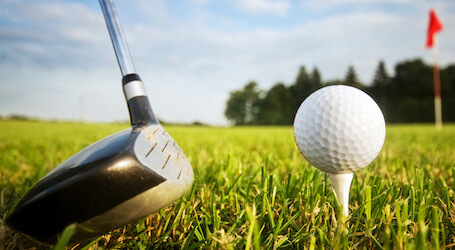 Now that the sun is up, it’s time to hit the links – and you’re headed to a real winner. Built in to the shoreline landscape to the south of the city, this striking 18-hole course brings a challenging precision to its drives, along with some tough angles to the greens. With club and cart hire, and your favourite golf buddies in tow, you will be left with nothing to stress about – except your score. Now, for a change of pace! Bubble soccer is a fun method of playing some soccer with the boys. 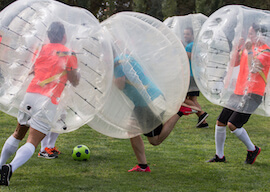 Surrounded by your bubble suit, you will be chasing the ball with a little less athleticism – but will no doubt enjoy the way they cushion your fall when you cop a body check! 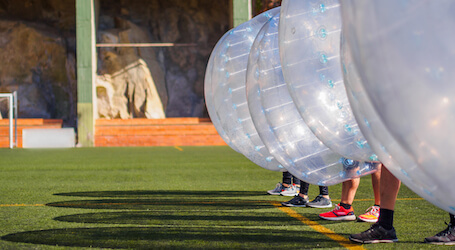 Loosen up the day with some bubble soccer! Once you’re all run out, it’s time to shake things up. This is a Buck’s party, after all, and no good Buck’s party is on the right course without a bit of skin! Once you’re back at your accommodation, enjoy the show of a lifetime, put on by a pair of stunning ladies who will widen some eyes, and weaken some knees! It’s going to get hot in there, so get ready! Now that night has fallen, the nightlife in the city of Auckland awaken. It’s time to get dressed to impress – you’re headed out on the town tonight! Wicked Bucks has sourced one of the finest gentlemen’s clubs to be found anywhere, and amid the striking fit out, and top-quality drinks, and the cranking tunes, a bevy of stunners are waiting to put on a show that we know you will enjoy. Not a bad way to wrap it all up, we reckon.